Fuji Xerox Co., Ltd. rolls-out two new monochrome printers, the DocuPrint P355 d and DocuPrint P355 db printers designed to enable optimum productivity and efficiency for small to medium businesses. The new printers lead the way with superior print quality and cost-effective print management. These newly released products provide cost effective, high quality and efficient printing. The DocuPrint P355 d and DocuPrint P355 db add advanced networking functionality for busy workgroups. With these solutions, businesses will experience advanced print speeds as both printers produce up to 35 pages per minute and have a first page out time of six seconds from ready mode. With up to 1200 x 1200 enhanced image quality, the 533 MHz processor and 256 MB memory together with genuine Adobe Postscript 3 ensures the new printers produce crisp, sharp images at a fast rate. The new products offer a 250-sheet standard paper capacity and print on a variety of mediums, from thick paper and card stock, to envelopes or labels. Further enhancing office productivity, these printers feature built in duplex printing to increase productivity and reduce paper waste. The inclusion of a high yield toner that produces 10,000 pages from one toner cartridge means reduced running costs and less need to stop and change cartridges. 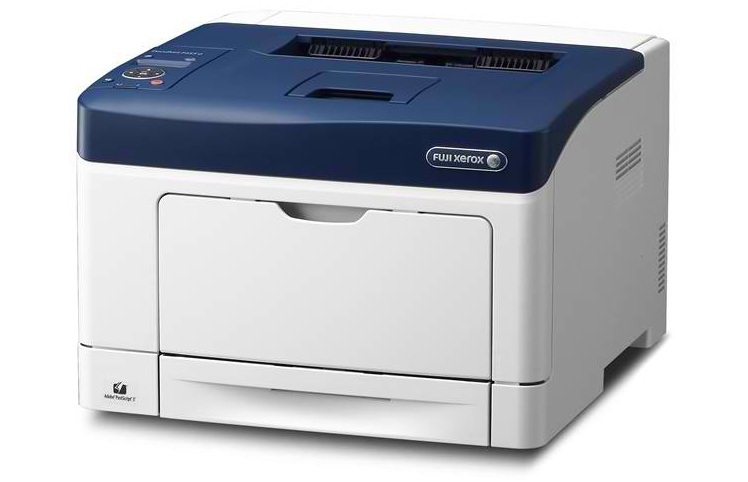 For networked small-work groups, the network-ready DocuPrint P355 d and DocuPrint P355 db provide a solution with comprehensive security and advanced device management features. The new printers incorporate the latest green conservation technology to reduce the environmental footprint and save energy. All models boast the newly developed Energy-Saving Toner by Fuji Xerox. The EA-Eco toner has been designed to melt at a lower temperature than is possible in traditional devices, which means the printer uses less heat and therefore less power.